Inherent Diminished Value – is the most widely recognized and accepted form of diminished value and assumes optimal repair quality has been completed and is the amount the vehicle will be reduced based on the stigma of an accident history. A Most diminished value claims are for inherent diminished value. 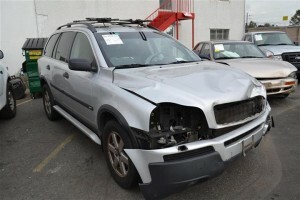 This type of loss of value can affect the vehicle from several angles. Prior Accident history reported by an automotive history reporting agency such as Carfax or Autocheck. The accident being reported by an insurance company to the insurance services office (ISO) or the national insurance crime bureau (NICB) this data may show up in CLUE, the Comprehensive Loss Underwriting Exchange Reports disclosing the vehicle’s prior damage and it’s relative value related to a new claim such as a total loss. In layman terms, the insurance company is going to report the accident to a national database and any future claims you have may be affected by the reported data the insurance company submitted to the database. For example, your vehicle is totaled 1 year after the reported accident. The insurance company may now want to pay you less on your total loss claim than they would have if the vehicle hadn’t had a prior loss. Knowledge of prior damage. Most automotive dealerships have your disclose prior damage to your vehicle when you trade it in. Usually if the damage is more than $500. This is due to them assuming the liability of the prior accident history and any possible damage that was not repaired correctly, not found at all, or repaired with low quality parts. Immediate Diminished Value -is the difference in resale value immediately after an accident, but before the vehicle has been repaired. Since most accident damage repairs are immediately provided by an insurance company, this type of loss is seldom used. Crack Closure. When there is a hairline fracture in a damaged part and there is a force holding it together. For now. Until later when it eventually fails due to the fracture. Low Frequency Fatigue. If a metal part is bent in the accident then bent again to bring it back to pre-loss visual condition, it has now suffered some measure of fatigue. Think of a spoon that is bent and then bent back to its original shape. It is now easier to bend next time. This ain’t rocket science kids, we learn this in second grade. It’s just that it isn’t as convenient or as cheap to replace the part as it is to repair it in most situations and whoever is paying for the repair is looking at the bottom line of how much this repair is going to cost. Damage to parts not directly affected. Ever seen a Newton’s Cradle? It’s that desk toy that has the ball bearing hanging by a wire and goes click clack. Again, not rocket science, this is pure physics. But does the adjuster normally take physics into account when assessing your vehicle’s damage? probably not. In fact, it’s said that many insurance companies section vehicles into zones. So if the actual damage to the vechicle was to the rear in Zone 1, but there is no damage in Zone 2, then any damage in Zone 3, 4, or 5 may not be considered related to the crash and may not even be assessed.